The 139 meter long freighter Xin Chuan 8 allided with a bridge on the Yangtze River near Nanjing, China. 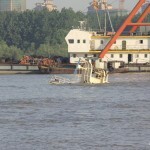 The Xin Chaun 8 bow struck the bridge pier and suffered severe hull damage. 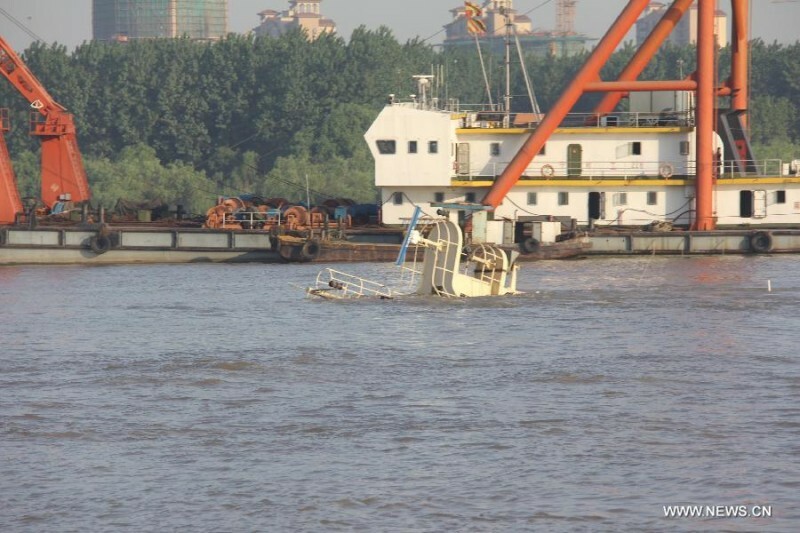 The vessel suffered uncontrolled water ingress and sank a few kilometers away from the bridge. All 18 crewmen on board were rescued and no injuries reported. Officials have launched an investigation into the cause of the accident. 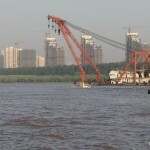 The Xin Chaun 8 was headed to Luoyuan from Tongling with a cargo of 12,500 tons of limestone.